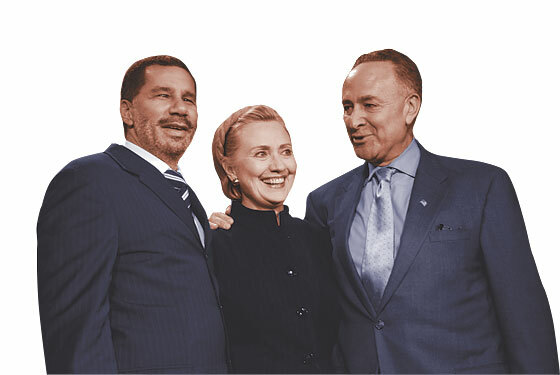 When David Paterson took the gig as Eliot Spitzer’s lieutenant governor, his long-shot plan was to get the nod to replace Hillary Clinton in the Senate if her bid for president was successful. “The absolute pinnacle of a career” was how Paterson described the U.S. Senate to me this summer. But now that Barack Obama is poised to name Clinton secretary of State, it won’t be Paterson going to Washington. (He’s already said he wasn’t going to appoint himself.) So who will it be? “This is going to be the single most visible unilateral decision he’ll have to make as governor,” says one Democratic operative who is eager to see how he handles it. “There’s no blame game, no legislative approval.” It’s all up to him. It’s a complicated choice. Paterson needs to make a decision that’s politically beneficial to him but doesn’t make him look clumsily self-interested. The person has to help the party, not overshadow Senator Chuck Schumer, and not be an easy target for the GOP next cycle. So how to choose? “Everyone who has a congressional seat has to be on the table,” says a party insider. Many Democratic big shots think it should be an upstater, to dole out the pork (a congressman like Brian Higgins of Buffalo or Kirsten Gillibrand, from the Hudson Valley?). Others think a Latino would help anchor that fast-growing voter bloc (Congresswoman Nydia Velázquez?). Perhaps, as one veteran consultant puts it, “it’s all about Catholics and the suburbs” (think Nassau County exec Thomas Suozzi). Maybe Paterson could reward a party veteran (Jerrold Nadler or Nita Lowey?). Or he could go with Attorney General Andrew Cuomo (who wants Paterson’s job). Another suggestion is Mayor Bloomberg (to eliminate a rival for statewide prestige).